China Digital Times has released an updated edition of “Decoding the Chinese Internet: A Glossary of Political Slang.” Classic memes, created by Chinese netizens to counter censorship, are joined by 25 new terms in an improved, image-rich format. 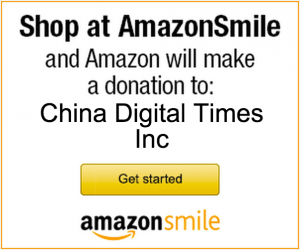 The eBook was compiled by CDT’s translation and editorial staff, and includes an introduction by Xiao Qiang and Perry Link. In this third edition of “Decoding the Chinese Internet,” we have added both new coinages and iconic turns of phrase. Organized by broad categories, “Decoding the Chinese Internet” guides readers through the raucous world of China’s online resistance discourse. Students of Mandarin will gain insight into word play and learn terms that are key to understanding Chinese Internet language. But no knowledge of Chinese is needed to appreciate the creative leaps netizens make in order to keep talking. See coverage of the eBook from the Washington Post, Public Radio International, and Victor Mair’s Language Log. “Decoding the Chinese Internet” is available in PDF format for pay-what-you-want. All proceeds support the work of CDT. 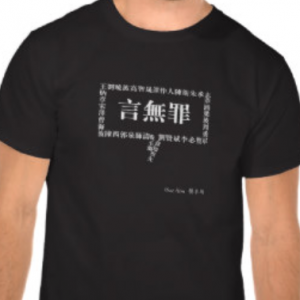 The cover image by artist Badiucao is now available on t-shirts and iPhone cases, via CDT’s Zazzle store. Our previously published eBooks are available for download as well.